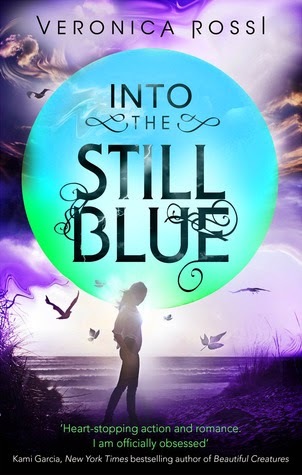 Midnyte Reader: Into the Still Blue. Title/Author: Into the Still Blue by Veronica Rossi. Synopsis: The race to the Still Blue has reached a stalemate. Aria and Perry are determined to find this last haven from the Aether storms before Sable and Hess do -- and they are just as determined to stay together. Out of options, Perry and Aria assemble an unlikely team for an impossible rescue mission. Cinder isn't just the key to unlocking the Still Blue and their only hope for survival -- he's also their friend. And in a dying world, the bonds between people are what matter most. ~Goodreads. Midnyte Musings: I read the first sentence of the final book in the Under the Never Sky trilogy with trepidation. Would it stand up to the two previous excellent books? Would I enjoy it as much? After about a page I got into the rythm and eagerly continued. I loved Into the Still Blue! If you haven't read it yet, there are some spoilers in this post. The novel continues right where Through the Ever Night left off. 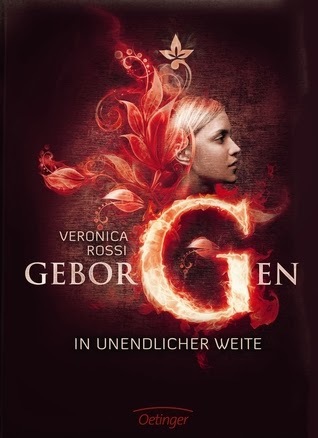 Aria and Peregrine, the two main characters continue their struggle for survival. Not just their own personal survival, but Perry's tribe, Aria's friends and their own relationship. There are so many layers and so many events happening that it is never boring. Tomorrow's coming, whether we worry about it or not. ~Perry. 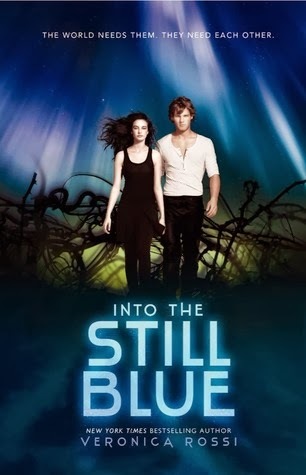 Like the last two books, Into the Still Blue is told in both Aria's and Perry's point of view, with the chapters switching back and forth. This was not confusing at all and in fact, I thought it added a lot to the story and to the two main characters. I loved knowing what each one was thinking and going through. It created tension and drama. I also appreciated the way that Rossi uses all of the senses in her writing. Smell, touch, taste. The reader is brought that much closer in between the pages. The way the landscape feels, the heat, the electricity in the air. I felt very grounded in the reality of their world. I felt I got to know Aria and Perry (along with other characters) even more in this installment. Their feelings for what they are going through, for each other and for what is happening to them is well laid out. They are young and somewhat inexperienced but mature. They have taken what experiences they have had and utilize them to the situation at hand. The only thing I did wonder about was why Perry didn't think about the death of his sister, Liv. At first I thought that the author just didn't want to delve into Perry's psyche, but then time was taken to explain his thoughts and actions and while I didn't get the sense that he was devastated over her loss, I was satisfied with his emotions. Now, I don't think I'm really giving anything away when I tell you there is a HEA. However, there were times when I was like, "OMG OMG OMG! What's going to happen?" I think this is a clear sign the story is working and working well. The twists and turn had me on the edge of my seat and frustrated at the same time. The story is very exciting, but sometimes I felt like the characters were just going around in circles. She watched him blow the flames to life, consumed by him. He was as wild as the fire. As vital as the ocean. His own element. ~Aria. I don't get swoony over fictional boys (or many real ones). I don't really like romance novels. However, I was totally falling for Perry even more. The passion and sweetness between Perry and Aria were not just romantic but hot in a way that I appreciated. Nothing overtly gushy and sappy, just sparks. I totally wished I was Aria head over heels into this flirtatious, deep and solid love. The other issue is that the ending felt a tad rushed. Especially the scene when Perry fights with villain, Sable. It was over very quickly and I was hoping for a bit more of an action scene. Also, when this is resolved, it felt that the ending was kind of like a summary. I wanted to see the last scene be between Perry and Aria. However, I am so glad that the book turned out the way it did. Aria - The beautiful heroine. She is brave and smart. She is also very selfless. At times it was hard to believe, yet then she would act like the kid she really is by letting her temper get the best of her and she became more believable. Perry - The handsome hero. Perry is on a mission to save his tribe and he puts the group of the whole before his own wants. I liked him even more in this book than the others. Roar - Perry's best friend has a difficult time in this book. He is mourning Liv's death and questioning Perry's emotions. Soren - One of Aria's old friends from Reverie who actually once tried to harm her. He grows so much in this book and contributes to the plot and his new community. Starstruck Over: The whole series, but I loved reading about Aria and Perry, their relationship and their adventures. Labels: Into the Still Blue, Post Apocalyptic, Veronica Rossi. I loved this series it is a great read! The characters are awesome and well developed. I recommend it to anyone looking for something exciting and different to read!